North Korea's leader Kim Jong-un has met with Chinese Foreign Minister Wang Yi in Pyongyang, the Chinese Foreign Ministry stated on its official Weibo account. Kim Jong-un stated that achieving de-nuclearization was the "firm position of North Korea" stressing that Pyongyang was willing to re-establish dialogue in the region. "China supports and congratulates the success of the Inter-Korean Summit and the release of the groundbreaking 'Panmunjom Declaration.' The summit brought a great opportunity to solve the crisis on the Korean Peninsula through peace talks. China supports the replacement of the armistice with a peace treaty on the Korean Peninsula," Wang said in Pyongyang, according to a statement by the Chinese Foreign Ministry. During the meeting, Wang Yi also said that Beijing would like to maintain communications and coordination with North Korea. The Chinese Foreign Minister Wang Yi has already returned to Beijing from the North Korean capital after his 2-day visit where he met with his North Korean counterpart, Foreign Minister Ri Yong-ho. Wang also stressed that Beijing understands the reasonable security concerns of Pyongyang, as well as the improvement of ties between the two Koreas. In May or early June, Kim Jong-un is going to meet with US President Donald Trump. The dialogue between Pyongyang and Washington could "move forward smoothly and make substantial progress," the Chinese Foreign minister noted. The visit is the first official high-level meeting between Beijing and Pyongyang since the Inter-Korean summit on April 27, where the leaders of the two Koreas have agreed to an ambitious agenda of peace and denuclearization on the Korean Peninsula. In recent months the situation on the Korean Peninsula has significantly improved. 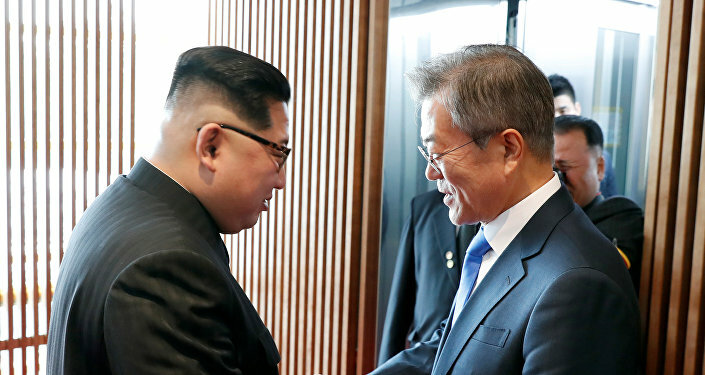 The thaw between the two Koreas has already resulted in the talks between the leaders of the two countries held on April 27. During the meeting, the sides signed the Declaration for Peace, Prosperity and Unification on the Korean Peninsula. The document commits the two countries to a nuclear-free peninsula and talks to bring a formal end to the Korean War.